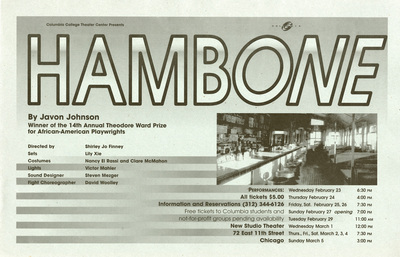 Theodore Ward African-American Playwriting Prize Winner. By Javon Johnson. Directed by Shirley Jo Finney.